The 14th Annual Valentine's Day Infidelity Awareness Campaign is now underway. Each February, New York-based infidelity expert, Ruth Houston conducts a Valentine's Day Infidelity Awareness Campaign to call attention to an aspect of Valentine's Day that seldom gets talked about -- the link between infidelity and Valentine's Day. The campaign is now in its 14th year. "Most people don't associate infidelity with Valentine's Day because it's a side of Valentine's Day no one wants to talk about. But the 3-dayperiod encompassing Valentines' Day, the day before (Mistress Day), and the day after is one of the best times of the year to catch a cheating mate." to heighten public awareness of the link between infidelity and Valentine's Day. to provide men and women with practical advice on how to catch a cheating mate during the most romantic time of the year. to encourage print, broadcast, and online media outlets to share this information with their readers, viewers and listeners by doing stories, sidebars, or segments on this seldom-discussed side of Valentine's Day. 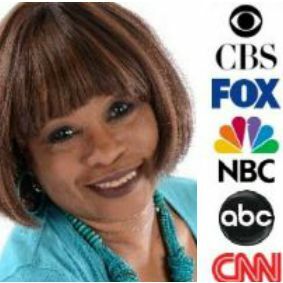 This year, once again by popular request, in addition to radio and TV interviews, infidelity expert Ruth Houston will also post a series of Valentine's Day Infidelity Awareness articles on her blog, InfidelityAdvice.com. Topics covered will include what clues to look for between February 13 – 15, the inside scoop on Mistress Day (February 13) and how flowers, jewelry, and certain types of behavior can expose a cheating Valentine. Real life stories from Houston's case files of men and women who caught their cheating spouses and significant others during the most romantic time of the year will be posted on Houston's Real Life Infidelity blog. The Valentine's Day Infidelity article series will culminate with a list of specific signs of infidelity that typically appear in the aftermath of Valentine's Day. Check Ruth Houston's blogs frequently over the next few days to keep from missing any of this valuable advice. Get E-mail Alerts When Ruth Houston - Infidelity Expert Sends news releases.